………………………if you are selling or buying art this year then this offer will be of interest to you. The renowned London-based art market research provider ArtTactic has been in operation for over a dozen years and their research is used by funds and major collectors like the Rubell family. This summer it has combined with Art Radar, the art news and trends site to create a special summer time-limited offer for you. But it is only up until the 13th August. So be sure to act now. 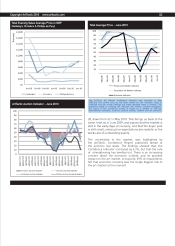 If you buy one of the following reports by emailing radaroffer@arttactic.com you can choose any other absolutely free PLUS you can also receive the China Auction Analysis report as an extra bonus. That is three reports for the price of the cheapest. This is an enormous discount on the usual prices – a great way to try out the ArtTactic research service cheaply. Knowledge is power. Well the Rothschilds certainly thought so – did you know that they valued the power of fast reliable information so highly that they developed their own privately-owned system of horseback couriers which raced back from various corners of the world to bring them information first… they built a fortune using this information. Knowledge is just as powerful today. Knowledge of the art market can benefit you in profound ways too. Negotiate better – you will have up to date facts to support your negotiating position when buying or selling art– by knowing important changes and trends for example whether your section of the market is trending up or down sharply or flattening off – you can justify your price more convincingly helping you to squeeze extra profits from a transaction. Gain valuable knowledge “at a glance” – although it has taken substantial resources for ArtTactic to collate the data and their considerable experience to analyse it, it is brought to you in easy-to-digest format of simple-to-read graphs and highlighted facts and headings saving you time and energy. Network and attract valuable contacts – clients, curators, collectors will naturally come to you to hear your valuable expertise and will refer others to you as someone who has reliable trustworthy insights. Maximise profits – by understanding where the market is and where it is heading you will be able to know when to raise or lower prices helping you to make sure that you don’t miss out on a sale by over-pricing or miss out on profits by under-pricing. You will have relevant information at your fingertips helping you set prices which will maximize profits. Here are reports you can choose from. Simply choose one report and select another for free. Email radaroffer@arttactic.com by 13 August with your selection and you will receive the latest “China Auction Analysis” absolutely free. Art Radar has known Anders Petterson at ArtTactic since our inception two years ago. We have read the work of his team on many occasions and we are pleased to endorse the high quality of the ArtTactic research. Simply choose one report and select another for free. Email radaroffer@arttactic.com with your selection. 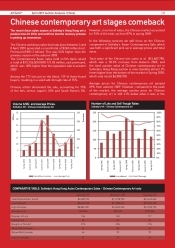 Remember that if you email by 13 August your selection radaroffer@arttactic.com you will receive a third report – the latest China auction analysis – absolutely free. PS…….this might suit you more……. if you are already convinced and don’t need the try-out offer above why not just sign up for the full package. For just GBP395 per year you will receive all the reports above, all reports produced over the next 12 months AND full access to all reports in the archive. To feel confident that you are on top of the latest developments in the market in the most efficient time-saving way email radaroffer@arttactic.com now. Are you selling contemporary art this summer? It is a challenge selling contemporary art today – prices are all over the place and the market has never been more volatile. And with more competition every day – new art fairs, more galleries and more choice for collectors, things are not going to get easier any time soon. It has never been more important to maximise profits in the upturns to see you through the downs. Are you confident that you are setting the best price for the pieces you are selling? If your prices are too low – you could be charging more and benefiting from extra profits. Profits you might well need if there is another downturn. Setting prices is a balancing act which can mean the difference between large profits or depressing losses. Imagine having a sixth sense about the confidence level of buyers in your market. Picture how it would feel to have an inner certainty about the direction the market is moving. Conjure up in your mind the sense of assurance you would have as you set prices supported by your new powerful insights into your market. Armed with ArtTactic knowledge see yourself benefiting not only from setting prices more confidently but also being able to squeeze a bit more with your negotiation skills. Clients are often happy to pay more if they are given objective evidence supporting prices. Imagine you and your staff negotiating persuasively and with assurance, justifying the prices you are asking convincingly armed with the market data you need. Well that sounds great, you might be thinking. But lets be practical, who has the time to collate and assimilate market research? And even if it has all been done for you, it is still hard to find the time to read and absorb it. In answer we can assure you that one of the most valuable features about ArtTactic is that they produce research in a simple, quick to read, digestible format. Ideal for your needs. Arttactic reports are quick to read and easy to assimilate. Now you might be thinking…yes I would like this help. But my section of the market is different. I do not want generalisations and information about the market overall. And I do not want large reports which I have to battle through to find the data which is useful to me. I am only interested in my subsets of the market. Can ArtTactic really give me the in-depth knowledge that I want about my section of the market? Another priceless benefit of ArtTactics reports is that you can buy data piecemeal at low individual prices or you can buy it all in a package at a discounted offer. Either way you just buy the information you want and need – incredibly good value and directly relevant too. 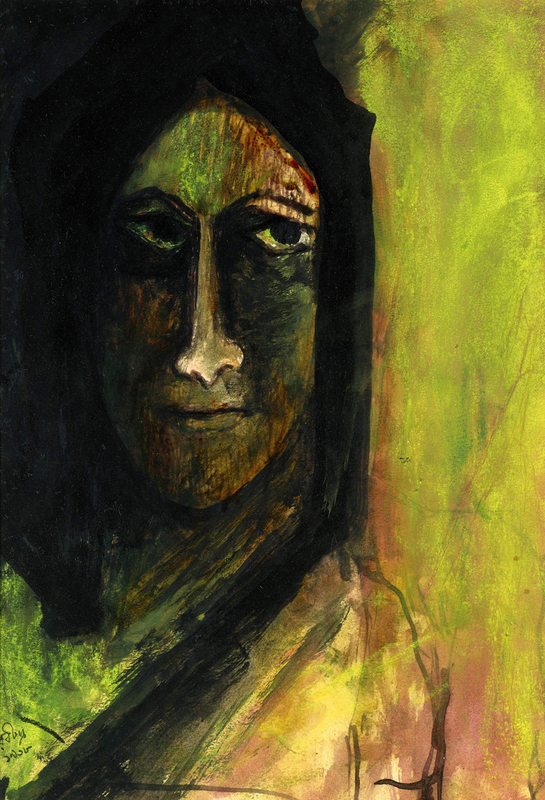 F.N.Souza, M.F.Husain, Ram Kumar, S.H.Raza, Akbar Padamsee, Himmat Shah, Jogen Chowdhury,Arpita Singh, Krishen Khanna, Rameshwar Broota, KG Subramanyan, Vasudeo S. Gaitonde, Zarina Hashmi, Tyeb Mehta, Anju Dodiya, Atul Dodiya, Shibu Natesan, Sudarshan Shetty, Ravinder Reddy, Nataraj Sharma, Surendran Nair, Subodh Gupta, Bharti Kher, Jitish Kallat, Thukral & Tagra, Rashid Rana, N.S. Harsha, T.V. Santhosh, Justin Ponmany, Riyas Komu, Nasreen Mohammedi, Bhupen Kakkar, Chitra Ganesh, Dayanita Singh, A. Balasubramaniam. In this new report, ArtTactic looks at global modern and contemporary art market trends in US and Europe, India, China, Middle-East, Latin America and Russia for 2010. Buy any report listed above and receive a second report of your choice free. 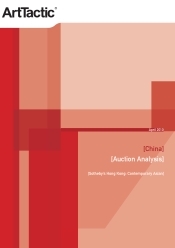 PLUS AN EXTRA OFFER EXCLUSIVE TO ART RADAR READERS: buy within the next 10 days (BY 13 August) and you can receive a third report (Chinese Auction Analysis May 2010 – Christies Asian contemporary sale Hong Kong 3 pages GBP25) absolutely free. 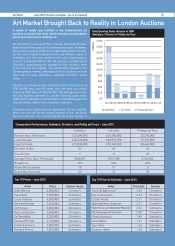 To buy and claim your free reports email radaroffer@arttactic.com. Remember this is a limited time offer so email now. Art Radar is proud to work with ArtTactic to bring Art Radar readers this special offer. We have read many of the ArtTactic reports since our inception and we often get together with Anders Petterson managing director of ArtTactic to chew the fat about the market and art scene in Asia and can fully endorse the quality of the research produced by ArtTactic. ArtTactic has been conducting art market research for over 12 years. Full disclosure: we receive an affiliate fee for every purchase made using the email above. Please support Art Radar and make your purchase now radaroffer@arttactic.com – go on …buy the annual subscription and join the top collectors like the Rubell family are subscribers. It is exceptional value, you will be glad you did! 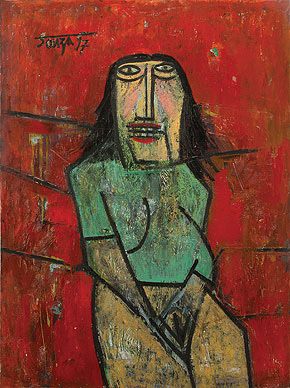 Francis Newton Souza's Imbecile Girl in a Green Blouse (1957) will be on sale in Saffronart's summer auction 2010. Its estimated price is USD275,000-350,000. A recent article published on livemint.com by the Wall Street Journal reported a rising trend of speculators’ confidence in the Indian art market, possibly as a result of a rebound in valuations of Indian artworks. The article used the data in the latest report by London-based art market research firm ArtTactic to show that speculators’ confidence in the Indian art market is on the rise, after its significant drop in May last year as a result of the global art market downturn. “The ArtTactic Speculation Barometer for Modern Indian Art shows a 28% increase since October 2009, and is now at 6.3, up from 4.9. This is the highest reading since ArtTactic started its survey in May 2007,” the article reported. The article reported that “the combined auction sales for Indian art in March 2010 raised a total of $15.2 million (Rs69.3 crore)”. 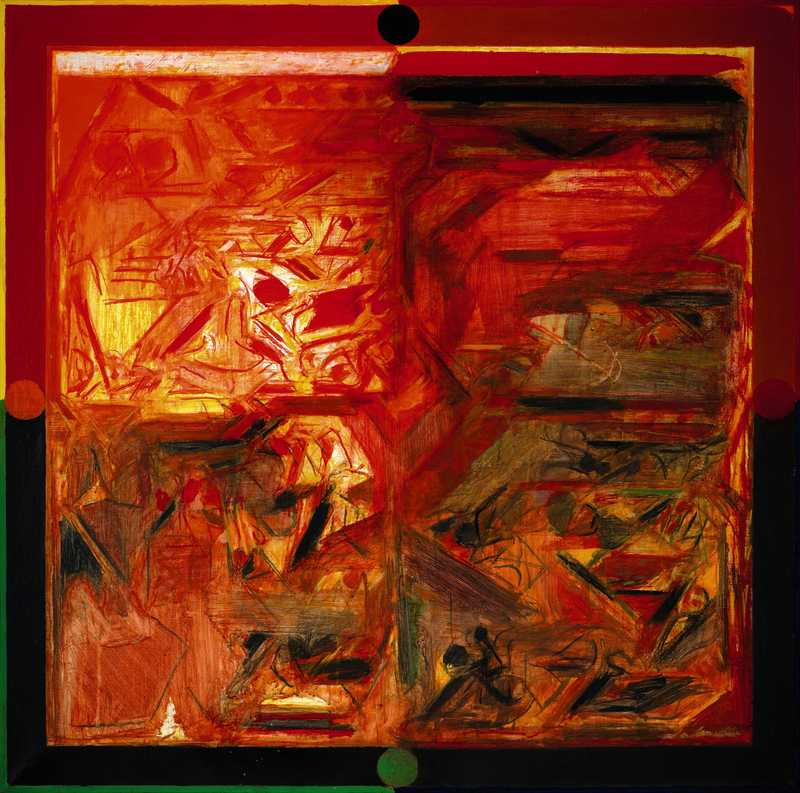 The article also noted the widening gap in confidence between the modern and contemporary Indian art market. Which 5 Indian artists would you dare to buy now? (Each of the artist names above is linked to their wikipedia entry. Just google the artist name + images for a large selection of images and sources). This Survey launches the Survival Rating methodology for the Indian art market, which was pioneered for the US & European art markets in December 2008. The measurement captures the long-term (10 years) belief whether the artists’ markets will be of High, Medium, Low importance. The Barometer is particularly useful in the current environment, where the market is trying to decipher which artists’ markets will survive the current downturn. F.N.Souza, M.F.Husain, Ram Kumar, S.H.Raza, Akbar Padamsee, Himmat Shah, Jogen Chowdhury,Arpita Singh, Krishen Khanna, Rameshwar Broota, KG Subramanyan, Vasudeo S. Gaitonde, Zarina Hashmi, Tyeb Mehta, Anju Dodiya, Atul Dodiya, Shibu Natesan, Sudarshan Shetty, Ravinder Reddy, Nataraj Sharma, Surendran Nair, Subodh Gupta, Bharti Kher, Jitish Kallat, Thukral & Tagra, Rashid Rana, N.S. Harsha, T.V. Santhosh, Justin Ponmany, Riyas Komu. Larry Warsh of AWAsia in New York, a private organisation which provides Chinese contemporary art sourcing and curatorial services to global institutions such as MOMA and the Getty Museum, talks about his take on the outlook for the Chinese art market on Arttactic’s newly-launched free podcast service. Warsh’s expertise lies in Chinese painting and photography by the first generation of historically important Chinese artists who came to prominence between 1989 and 1999. The promotion of Chinese art is Warsh’s self-confessed mission so it is not surprising that the bulk of the interview claims great investment opportunities for selected Chinese artists. He suggests that scarcity of supply (he says there are only 30-40 historically important contemporary artists) and the future potential of the Chinese buyer base (favourable demographics, population size and a growing interest in contemporary art) means that prices are bound to rise. Asked why the top auction houses seem to be featuring less Chinese art in their recent sales, Warsh explains that he sees this as evidence of the scarcity of supply of quality Chinese art rather than lack of demand. We are not quite convinced by this argument. If supply is scarce but the demand still exists, then the pieces that have been coming to the market recently would have made heady prices but instead they have fallen along with other art categories and asset classes. In Hong Kong’s Spring sales 2009 works by Zhang Huan failed to sell at Sotheby’s and at Christe’s a Cai Guo Qiang edition ‘Kaleidoscope Time Tunnel’ and a Yue Min Jun lot were passed in. No matter, we like controversial opinions. Arttactic promises more podcasts with ‘key’ figures so we look forward to hearing a variety of views. To listen to this one go to ArtTactic Podcasts and search for Larry Warsh May 22 2009. Unfortunately we cannot give you a direct page link – we hope that ArtTactic will iron out this wrinkle in its promising new service. Why there are opportunities in Chinese 90s-made art and Chinese photography and how Western museums are impacting this market are some of the topics in the interview between Anders Petterson, Founder and Managing Director of ArtTactic and Larry Warsh, Founder of AW Asia. LW: In the short term-the next 12 to 18 months-there will be good opportunities to buy works by top-tier artists in both painting and photography. By top-tier, I mean the 40 or so who have gained art-historical recognition, have been internationally exhibited, and are being acquired by museums in the West as well as Asia. Historical works by these individuals -the first generation of Chinese contemporary artists, from 1989 through early 2000s-are relatively scarce and will continue to gain value. The global downturn has yielded some attractive pricing, particularly in comparison to top contemporary artists in the West, creating smart buying opportunities. In fact, art funds focusing on Chinese contemporary art have been formed to take advantage of this moment. Museums are also acquiring for their collections. LW: Quality. As in the West, in China there are tens of thousands of artists producing all types of work. The quality varies widely. It is important to pick the artists who will have historical staying power, with solid records in terms of art-historical recognition, museum exhibitions, and curatorial interaction. In every country, the finest work by the top artists is expensive and sought-after, and it holds its value. In this, China is no exception. There are many levels of artists and art, and it’s essential to know the difference between the art business and art history. Also, over the past few years some dealers took a very aggressive approach to pricing, which shot up dramatically. A shake-out was almost inevitable, especially when the quality was not there. I think there is not enough education regarding who the important artists are. In China, this is now starting to change. There are now more collector groups, and more lectures and seminars on Chinese contemporary art. It’s not enough, but it’s starting. There’s activity promoting education and the development of a collector base. Western attitudes to Chinese contemporary art in future? LW: It’s not a fad, not at all. Pundits talk about it in those terms because of the speed with which Chinese contemporary art has grown and the impact it’s had on the art world. That’s consistent with the Chinese economy overall, which has seen rapid growth in many other sectors as well. We forget that the reopening of capitalism in China was a once-in-a-lifetime event, truly a phenomenon-a country waking up with such might in the course of 30 years. There are also many notable curators, academics, writers, and collectors in the West who are studying, following, researching, and buying Chinese contemporary art, and were doing this years before it became a notable player in the marketplace. One trend that I see continuing is the integration of Chinese contemporary art into Western museum exhibitions and collections. Just in New York alone, the Guggenheim, the Metropolitan Museum of Art, and MoMA have acquired Chinese contemporary works. Other U.S. and European museums are completing acquisitions as well. And while this is entirely anecdotal, among collectors I’m in contact with, interest in Chinese contemporary art remains very high, and there is a shift happening now of new collectors who are buying, as opposed to speculators. Chinese art has also been outperforming Western and European art in the contemporary non-Chinese sales. As recently as November 2008, at the Christie’s day sale in New York-which overall did poorly-14 of 16 contemporary Chinese works sold, many doing better than their Western counterparts. There was spirited bidding from absentee and phone bids, as well as activity in the room. LW: Chinese culture is 5,000 years old, and national pride runs deep. China will not collect our Western heroes and icons-not widely, at least. They will create, and have always created, their own. That’s where their collecting interests lie. Also, I think that in the near term, China will undergo more severe inflation than it’s seen recently, making high-quality work a good haven for protecting the yuan. This will also benefit non-Chinese collectors holding this type of asset. With its broad acceptance on the international art market-London, New York, Paris, Hong Kong, China-and its performance in Western and Asian auction houses, high-quality work will be salable around the globe, yielding the respective currency of choice. With the coming inflation, I predict that art will outperform other non-art investments, as it has done in the past. I project that within 24 to 36 months, prices will return to levels close to where they were, with some prices higher. Great work will achieve breakout prices sooner. This article was originally published in the February edition of Rawfacts, ArtTactic’s monthly art market newsletter. The original text is republished here by courtesy of ArtTactic.